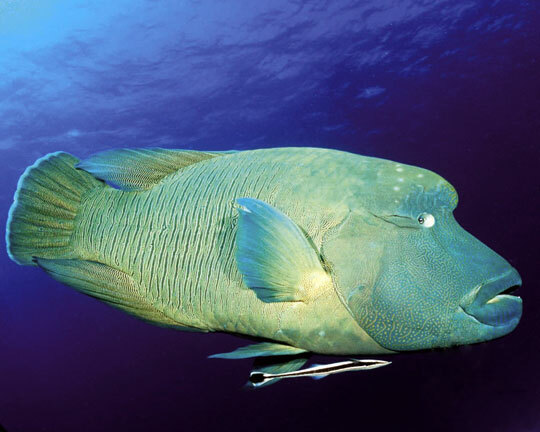 Adult/Juvenile – This is a very large wrasse from the Rea Sea that reaches about 6 feet in length. Small juveniles show up from time to time and can cost a great deal of money. The juvenile is mainly white with some green and they start to color up as they get older. When they start to reach 1 1/2 -2 feet, they will start to develop the hump head that you usually see in the wild. A very aggressive feeder and because of its large size, it should only be kept in very large aquariums or public aquariums.